Ross Campbell Dental Practice is a small private practice in the centre of Norwich where we take special pride in our professional and friendly service, providing you with quality dentistry and a very high level of patient care. Our surgeries are fresh and modern in design, fully air conditioned and offer a high level of patient comfort. We play relaxing music throughout the practice and offer refreshments, daily newspapers and current magazines in our beautifully refurbished reception area, creating a very calm and welcoming environment for you to visit. 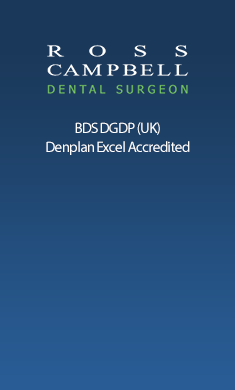 Enjoy looking through our website to learn more about our small friendly team, extensive and cutting edge digital technology, what our patients say about us, and the comprehensive dental care we can offer you.